Illustrations and pictures are an integral part of the web content. Bloggers often use pictures within the article to make it more appealing and readable. Although WordPress inherently supports image handling for blog posts and pages, still it lacks some of the advanced features that are often required by bloggers. These extra functions are used to spice up and optimize the images used in the blog posts. There are several plugins available for WordPress bloggers to get more out of their uploaded pictures. Before you use one of these plugins, make sure you understand its functionality and working. Each of these plugins is tested on a local server and is free of any kind of malware. So let's see these useful images handling plugins exclusively developed for WordPress-powered blogs. Lightbox - Gallery Lightbox: If you want to display both images and video files in a fancy lightbox popup, then this plugin is an ideal solution for the same. It's responsive in nature and has a user-friendly dashboard to manage all the settings. Tons of lightbox properties can be customized to get the desired features required on your website. It works seamlessly with all types of WordPress themes. The extended version also enables you to add several fancy animation effects to grab the attention of the site visitors. Gallery Images: This is an excellent plugin for professional blogs who extensively showcase images and thumbnails in their blog posts. Whenever a visitor clicks an image, the respective image is shown in a blown up lightbox, fancy box, color box, shadow box and through several other effects. You simply have to link each image in a predefined format and it automatically uses the plugin script to present exploded view of images with additional effects. This plugin doesn't conflict with any image caching plugins and supports countless animation effects used in the lightbox. IMG.Commander: This simple yet powerful image handling plugin lets you search and insert images into your blog posts very easily. You can search for creative commons licensed photos right within your dashboard and can easily embed them in a post with fancy borders and captions. You must get an API key for this plugin to work efficiently. It's ideal for bloggers who do not prefer searching for the required images on different websites. It's lightweight and extremely easy-to-use image embedding plugin. WP-Backgrounds Lite: This excellent plugin adds full-screen background images for posts and pages of your choice. It works seamlessly both with free and premium themes. It has been tested thoroughly to work with all modern web browsers. You can configure different background images for selective posts and pages. If you set more than one image as a background, all those images are shown as a slideshow. You can also set background images for login, author and error pages very easily. SuperSlider-Image: This powerful plugin presents an easy way to embed and control image properties through shortcodes. With a single click, you can change the size of all the images in a single blog post. This is a very useful feature for bloggers who frequently come up with long list posts containing a large number of equal size images. You can change the properties of embedded images without touching the shortcode used for inserting these images. This reduces your basic image handling task considerably giving you ample time to concentrate on other important blogging tasks. RPS Image Gallery: This intuitive plugin helps you in making most out of your WordPress image galleries. You can easily configure whether clicking an image will show a slideshow or it will divert the visitor to a specific post or a page. 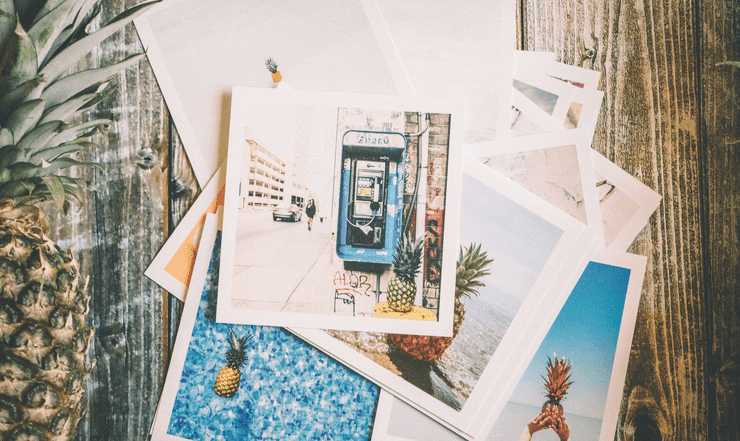 You can easily embed multiple image galleries in a single blog post through this plugin. You can also provide captions for individual images present in the gallery. This plugin uses shortcodes and doesn't load the scripts until it is required or invoked by the visitor. RSS Image Feed: This plugin is ideal for bloggers who publish partial feeds and still want the first blog image in the excerpts of the blog feed. The displayed image is clickable and directs the readers to the actual blog post. In case you're publishing full feeds, still, this plugin will just pull the first image used in the post irrespective of the number of images used in the entire post. For viewing all other images, readers have to visit your blog post. This plugin can be used as a teaser to get more traffic from your partial feeds. Limit Image Size: If you frequently upload high resolution images taken from your digital device directly to your web server then you must use this plugin. It automatically reduces the image and file size saving your precious bandwidth. It can be done in 3 different ways to transform your bulky image into an optimized web version. This plugin is ideal for photo blogs and similar type of niche blogs where large numbers of images are used in every other blog post. You must configure your preferred optimization method with appropriate settings to make most out of this plugin. WP Fluid Images: If you're planning to use a responsive design on your WordPress blog, then this plugin is very essential for you. It removes the fixed width attributes from the images so that they can use the fluid width attributes of the responsive theme. It also applies various attributes so that your images do not overflow the post width in a responsive mode. This plugin acts as a helper module to gel your images well with your responsive WordPress theme. Image Store: This is a complete image store solution for bloggers who sell photos and illustrations on their blog. It has an integrated payment module that supports both PayPal and Google Checkout. This plugin has tons of options that enable you to host a full-fledged image store in a few easy steps. You can configure different price lists for a group of watermarked images. Image downloads are only allowed after the payment is processed completely. You can use different shortcodes to quickly deploy your image store in no time.